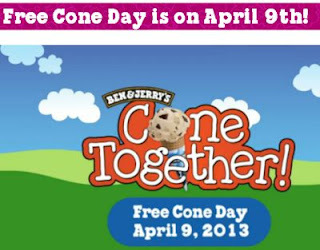 Free Ice Cream Cone at Ben & Jerry's. April 9th, 2013. Click the link below to go to their website to see this offer & find a location near you.